The Epiphone Les Paul Standard Plustop PRO features Epiphone's premium Pro-Bucker 2 and Pro-Bucker 3 Pickups and a whole host of beautiful, new, trans finishes that show off its AAA flame maple veneer top perfectly. The Plustop Pro even features coil-taps, for ultimate tone versatility. Sitting behind the maple top on the Plustop PRO a solid mahogany body, to delivers the classic tone and sustain that can only come from a "real" Les Paul. The body is wrapped in simple, 1-ply cream top binding for a great vintage look. The mahogany neck has a 24.75" scale with a 12" radius and a 1960s SlimTaper "D" profile glued-in neck. The rosewood fingerboard has the Les Paul classic pearloid trapezoid inlays, 22 medium-jumbo frets, a 1.68" nut, and 1-ply cream binding. The new Pro-Bucker pickups give you that one-of-a kind Les Paul sound. With Alnico II magnets - as used in sought-after vintage PAF humbuckers - these pickups provide a rich, warm tone with a sparkling high end and a solid low end. 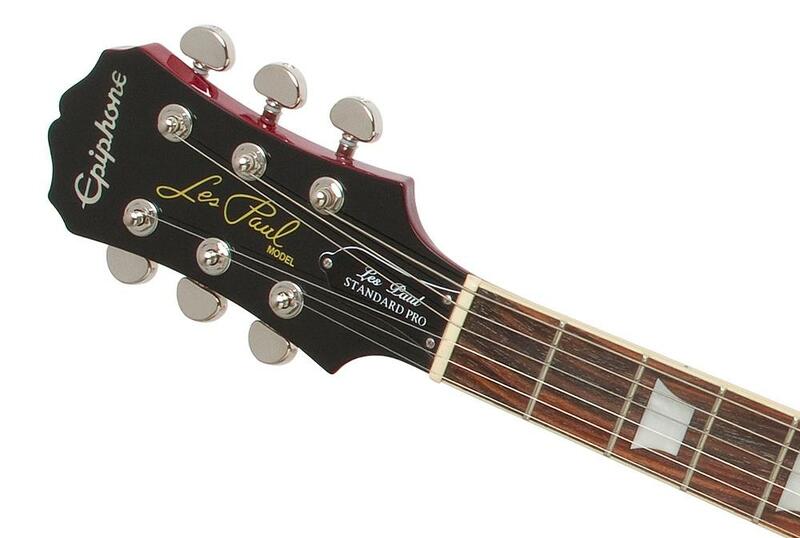 The Les Paul Standard Plustop PRO features a Pro-Bucker-2 in the neck position and a Pro-Bucker-3 TM in the bridge position. Both are a little overwound, compared to the original PAFs, to give a hotter, higher gain tone. And both the neck and bridge pickups now also feature coil-tapping, controlled by push/pull volume controls. 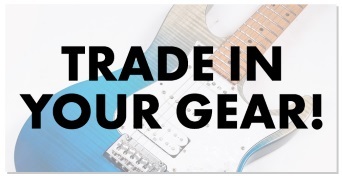 Epiphone uses only the highest quality parts to make these pickups, such as ABS plastic bobbins, 1010 Cold Rolled Steel pole shoes and pole screws, Alnico magnets and the finest magnet wire available. 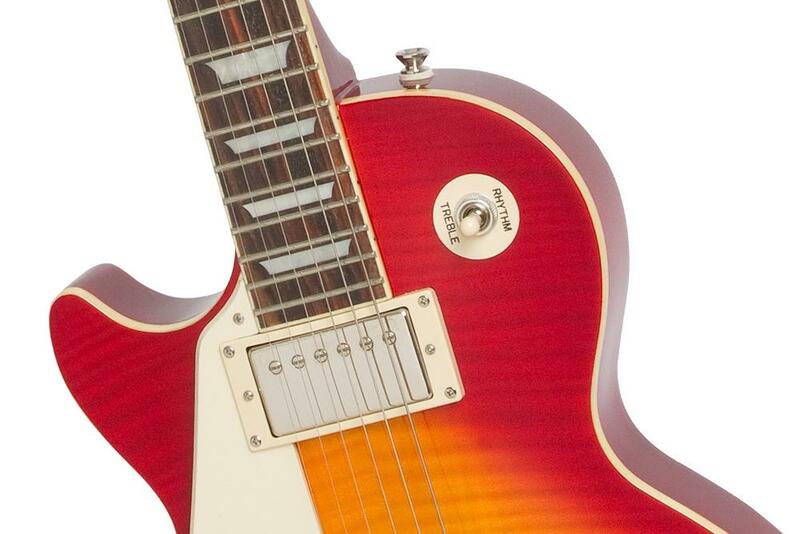 The Les Paul Standard Plustop PRO has some rock-solid hardware, including a LockTone Tune-o-matic bridge and Stopbar. Epiphone's updated auto locks are patent pending and keep the bridge and tailpiece in place, with no tools needed, to improve your sustain. The Plustop PRO also uses 1" diameter potentiometers for longer life, reliable service and better tone. 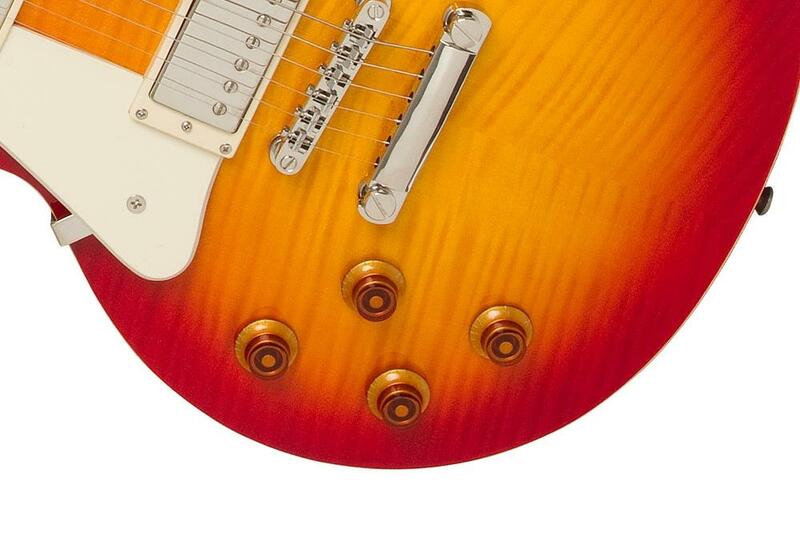 Epiphone's all-metal toggle switches use rugged spring-steel contacts to ensure years of reliable service and performance and Grover's 14:1 tuners keep everything reliable in tune. The Les Paul is synonymous with Rock and Roll and no other guitar gives you the same power, sustain and the sound as a Les Paul... Accept no substitutes! 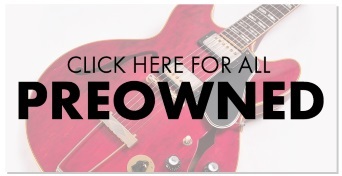 Authorised by Gibson USA!